We can supply and fit any parquet wood flooring you choose, traditional or contemporary. Parquet was first introduced in 1684 in the French Palaces of Versailles to replace the marble flooring that required constant washing. The water from washing started to rot the floor joists beneath the marble floors. The most popular parquet wood flooring pattern is herringbone. Parquet patterns are entirely geometrical and angular, squares and triangles. The use of curved and natural shapes constitutes marquetry rather than parquetry. Parquet wood floors use to be adhered with hot bitumen. Today, with advances in glue, modern epoxy polyurethane adhesives are normally used. This is a bespoke service, from design to installation and finishing. Creating traditional parquet herringbone, chevron and panelled floors or modern contemporary boarded floors. 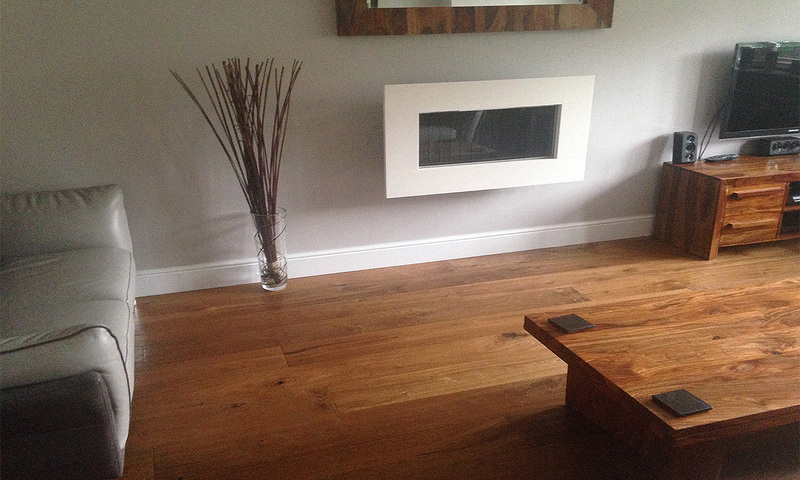 Solid flooring can be reclaimed or new wood of any width, length, thickness and species. Finishes include traditional wax polishes, oils and lacquers. advances in materials associated with wood flooring mean solid wood can be appropriate to requirements such as under floor heating. Floors can be constructed from a variety of species of solid wood that cover a spectrum of colours and specifications, new or reclaimed. Typically associated with older buildings the use of reclaimed flooring means period features can be reinstated in period restorations. 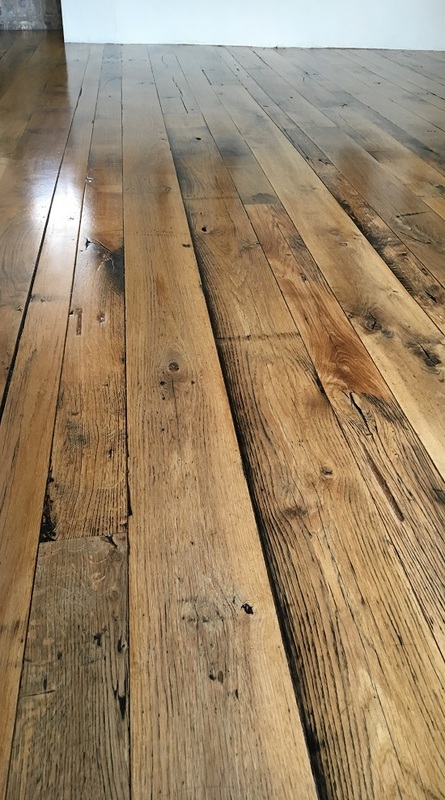 No single technique can reproduce the character, depth of colour and distinctive patina of reclaimed timber for flooring. A solid wood floor is an investment which will last a lifetime. A multilayer construction, several layers are cross laminated together and the final ply is a veneer of solid timber, 3.5 – 6mm thick. This method provides a strong, stable and reliable construction with minimal dimensional change, compared to solid wood flooring. Therefore it is not prone to warping or excessive seasonal movement. 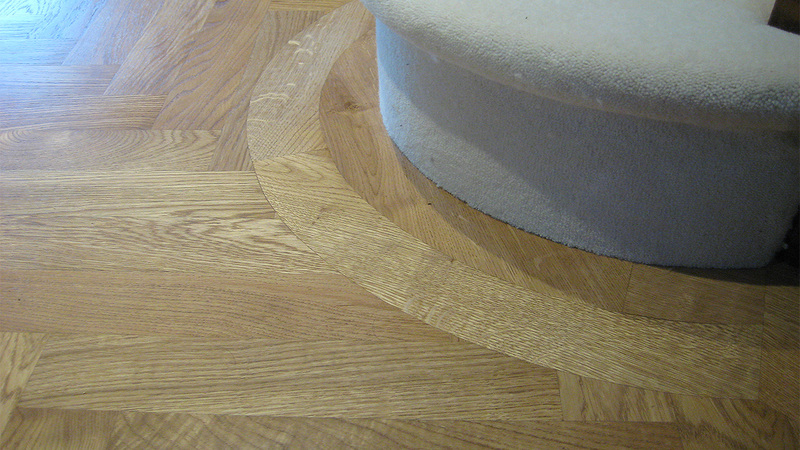 When professionally fitted engineered flooring cannot be differentiated from solid flooring, as every piece of timber is unique and has the character and appeal of a solid wood floor. Engineered flooring is available unfinished or prefinished from 100mm to 300mm wide. It can be nailed, screwed, floated or glued down depending on the product. Mimics the looks of traditional wood flooring. The design layer is a photograph of wood, printed on paper which is then submerged in melamine resin and in many cases given a textured surface. This is a highly scratch, wear and stain resistant surface. Laminate flooring is easy to maintain and should not discolour in sunlight. Laminate floors are floating floors. They do not fasten to the sub floor, which is a quick, cost effective and uncomplicated installation process.